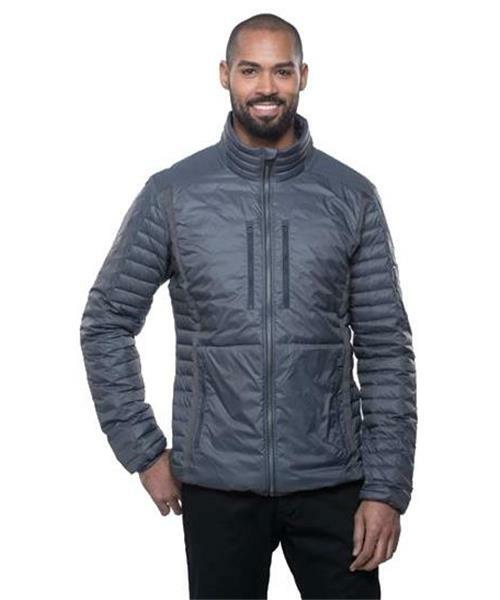 One look at the Spyfire Down Jacket and you realize it's different by design, construction and features than any other down sweater that has come before it. The Spyfire Series combines unique fabrics, precision design, and thermal body mapping to deliver technical performance and unparalleled style. Four unique fabrics differentiate the Spyfire Series, and each fabric is engineered for a specific purpose. The water resistant and windproof shell is sourced from a superior Japanese mill that uses a 20 denier, 24 high filament nylon fabric for a softer feel and higher tear strength. The yarn is woven into an extremely tight weave that’s dense enough to increase the down proof-ness and tear strength. The front panel features two layers for added durability.